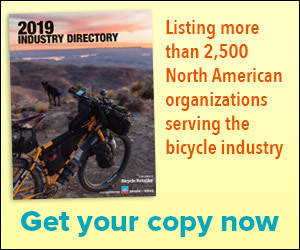 As a retailer, how's your bike repair business compared with last year? Read more about As a retailer, how's your bike repair business compared with last year? When do you see the recession (in the United States) ending? Read more about When do you see the recession (in the United States) ending? As a retailer, do you see more customers using their smartphones to check pricing while shopping at your store? Read more about As a retailer, do you see more customers using their smartphones to check pricing while shopping at your store? As a retailer, how would you grade your July sales? Read more about As a retailer, how would you grade your July sales? What grade would you give this year's Tour de France? Read more about What grade would you give this year's Tour de France? Will Lance's success at the Tour fuel road sales any this year? Read more about Will Lance's success at the Tour fuel road sales any this year? Do you like Eurobike moving to earlier dates for 2010? Read more about Do you like Eurobike moving to earlier dates for 2010? What do you consider the perfect amount of travel for an "all-mountain bike"? Read more about What do you consider the perfect amount of travel for an "all-mountain bike"? What's more important to your retail business in terms of sales? Read more about What's more important to your retail business in terms of sales? Is your business planning any special activities, etc based around this year's Tour de France? Read more about Is your business planning any special activities, etc based around this year's Tour de France?